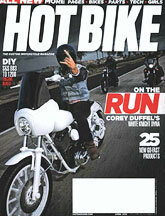 Get a free Subscription to Hot Bike from FreeBizMag. Complete the information then choose the magazine. Provide your delivery information. This is a one year complimentary subscription.